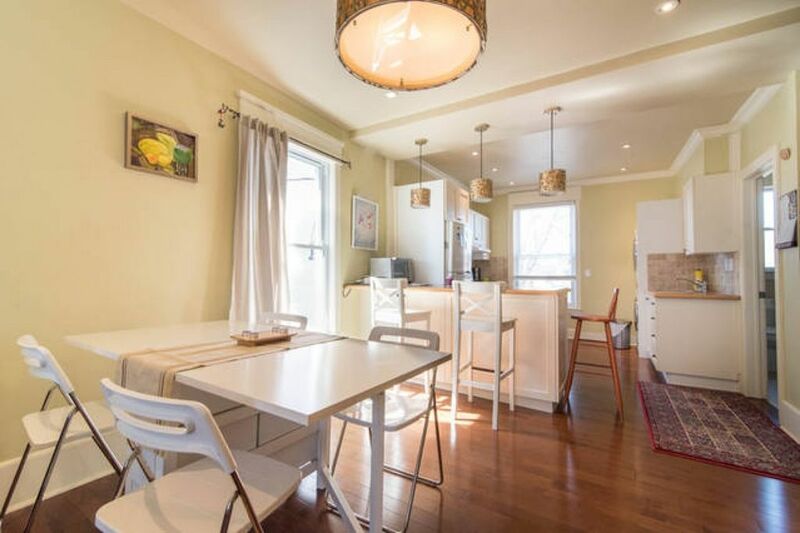 The apartment is in the heart of vibrant Hintonburg, close to countless shops and restaurants. Bright and spacious, this 2-level open concept apartment is a warm, stylish and homey space to return to after exploring the beautiful capital of Canada. Our neighbourhood, Hintonburg and Wellington Village, is now home to a bustling shopping district, fine dining options (Supply and Demand, for example, was named one of Canada's best restaurants by Air Canada's enRoute magazine in 2013), theatre and other arts venues. We are close to everything - Parliament in 6 min, Rideau Canal in 4 min, Civic Hospital in 3 min, Ottawa river walk, bike and ski path in 4 min, and the new Light Rail Train is in 3 min drive. Our neighbourhood, Hintonburg and Wellington Village, is now home to a bustling shopping district, fine dining options (Supply and Demand, for example, was named one of Canada&#039;s best restaurants by Air Canada&#039;s enRoute magazine in 2013), theatre and other arts venues. We are close to everything - Parliament in 6 min, Rideau Canal in 4 min, Civic Hospital in 3 min, Ottawa river walk, bike and ski path in 4 min, and the new Light Rail Train is in 3 min drive.